As stated on their website, SBP’s mission is to shrink the time between disaster and recovery. In the immediate aftermath of any disaster, information plays a key role in curbing unnecessary human suffering. SBP has free, downloadable guides to help impacted residents avoid the common pitfalls of recovery. Advisory to state and local leaders – SBP’s team will provide free advisory services to support decision-makers as they build long-term disaster recovery contracts and processes. Damage assessment support – SBP can provide tools to conduct door-to-door damage assessment surveys, which collect valuable information on community need. 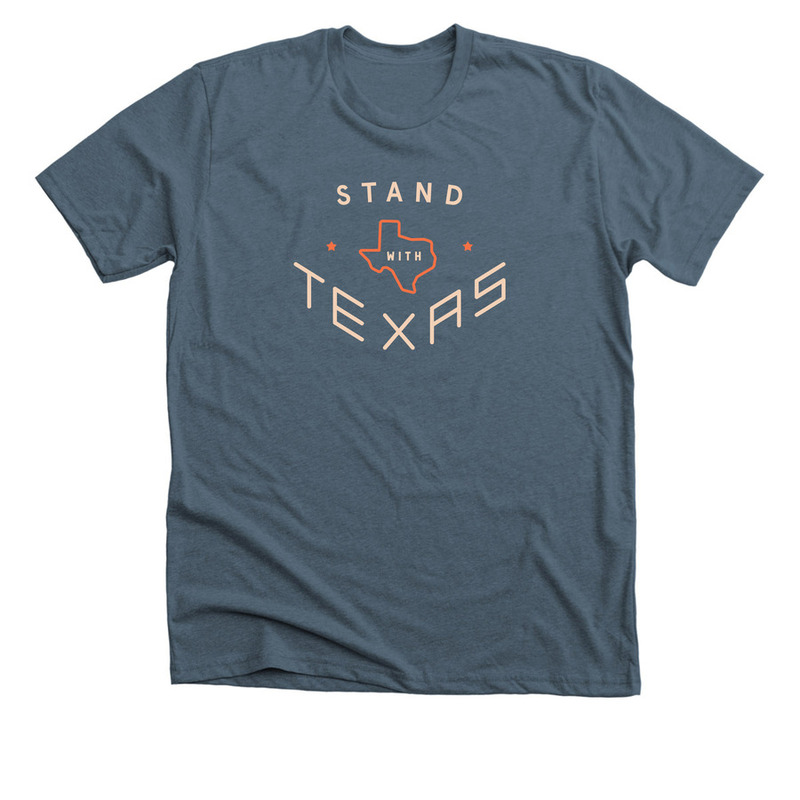 Over at Bonfire.com, they just started a new t-shirt campaign for victims of Hurricane Harvey. For $19.99 you get one of these nice looking t-shirts and 100% of the proceeds go to St. Bernards Project. I don’t know about you but I like that t-shirt and I like helping people. I’m buying one. AirBnB is waiving all service fees for Harvey victims from Aug 23 to Sept 25. If you’re in the area surrounding the path of the storm, considering offering a place to stay. Paypal has set up a special fund. If you have a Paypal account you can give without any fees. You can even select one of 12 charities to direct your funds to the one you prefer. Click here to give to the Paypal Giving Fund. If you have other charities or organizations making an immediate impact in Texas, leave a comment below and I’ll add them to this post. To anyone down in Houston or any of the other areas effected by this storm, we’re praying for you, and donating everything we can. Hang in there.